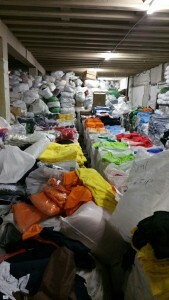 Cape Town T-shirt House is a premier t-shirt factory in South Africa, having been operating for decades and serving thousands of clients around the world. Our focus has always been to provide the highest quality products along with personalised service, which has earned us a reputation as one of the best in the business. We provide a wide range of options, from plain white t-shirts to vibrant colours – available in long-sleeve, short-sleeve, polo shirts and hoodies. We also boast a full range of sizes, with children of all ages catered for, while our adult sizes go all the way up to 5XL. Trade clients can get wholesale t-shirts in bulk, while we also cater for individual clients who require considerably smaller orders. If you choose to order through Cape Town T-shirt House, you will be treated to fast turnaround times and professional service from expert consultants. Contact us today to discuss the products and services available at our Cape Town or Johannesburg branch.